The school roll continued to rise. In 1907 Standard Three had 69 pupils and Standard Five had 79. The result was overcrowding and a new school was needed. 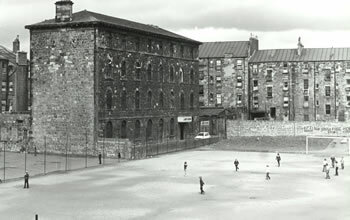 Makeshift accommodation for the whole school was found in a hall in Henrietta Street while the old school was demolished. The new school opened in 1913. It was four storeys high with 43 classrooms each of which had accommodation for 50 pupils. There were four broad staircases, cloakrooms and ground and roof playing space for boys and girls.